The following books are still available, while supplies last. Click on the links or book covers to order. 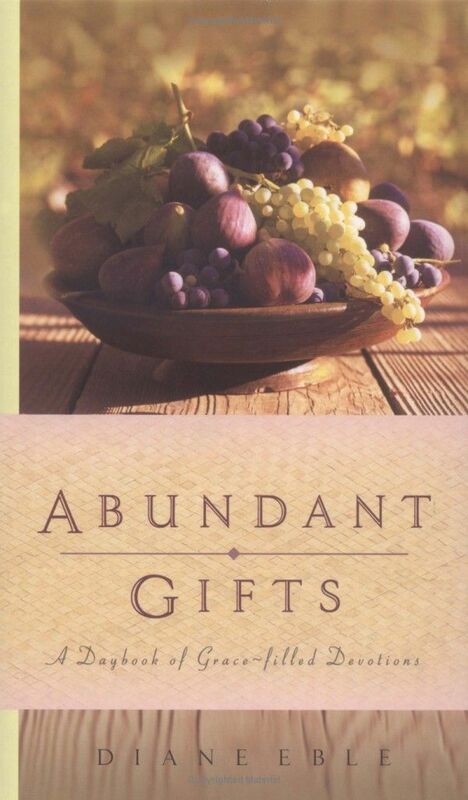 Abundant Gifts has always been the book of my heart. It was published twice, the second time after best-selling author Jan Karon endorsed it, saying, "God speaks to me from Diane's pen." I hope the stories in here will open your eyes to the wonderful gifts that God serves up to you every day ... if only you will learn to see them. 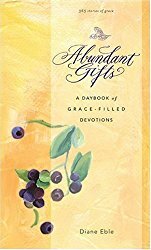 Visit Diane's Abundant Gifts book site to find out more, get your Abundant Gifts Journal, sign up for the free email devotional, Abundant Gifts from the Word. Click on the image of the book you want to order a signed copy for only $14.95 + shipping--makes a great gift! Knowing the Voice of God: Discover God's Unique Language for You is another one of the "books of my heart." The idea is that God speaks to use uniquely, and I help you understand how to decipher how he speaks to you so you can truly have the "personal relationship with God" Christians claim is possible. 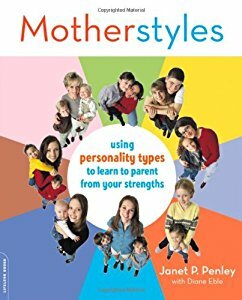 MotherStyles was the book I wrote Janet Penley, who is an expert in applying personality types (ala Myers-Briggs) to parenting. That book was a joy to work on, and so helpful to me in my mothering career and to many, many others. I'm happy to say it's still in print, and you can order from Amazon here. 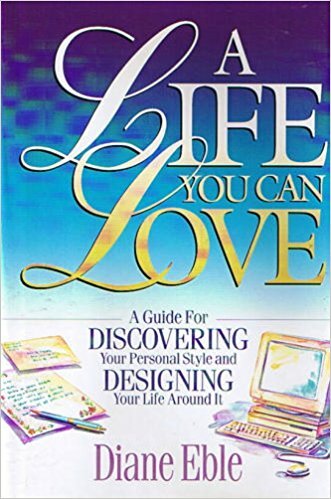 In this book I help women to discover their personal style and design their lives around that. I especially addresS the conflict many women wrestle with in terms of balancing family and career. ORDER A SIGNED COPY OF A LIFE YOU CAN LOVE FOR ONLY $2.95 + shipping! 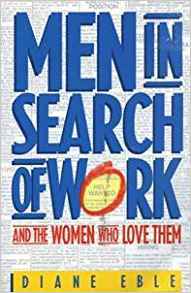 This was the book I wish I'd had when my husband went through his career struggles early in our marriage. Bill Moyers cited it in a talk after the book was published. I interviewed dozens of couples to uncover the struggles of both men and their wives, and the strategies that helped. Though much of the resources are dated, the validation of the struggles, and the strategies to support oneself and one's spouse, will still prove helpful. 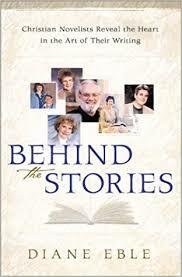 Read the "stories behind the stories" of Christian fiction authors such as Jan Karon, Francine Rivers, Janette Oke, Randy Alcorn, Bill Myers, Bodie Thoene, Jane Kirkpatrick, Liz Curtis Higgs, Jerry B. Jenkins, Gilbert Morris, Karen Kingsbury and many more. These inspiring stories wil show you more about God and His ways with His people. You will see the unity, and diversity, of their vision. Your own heart won't be the same as you listen to these wise ones open their hearts. Click here for a list of other books by me, just to show you what I've done, and that I actually am a published author (back before everyone was self publishing, like now).